Introducing Just My Type, one of the typographic designs in my collection of pre-designed wedding invitation suites. 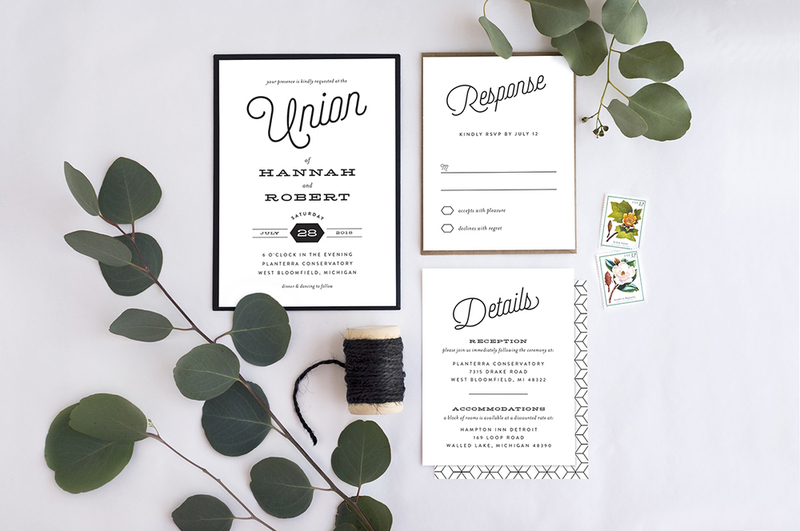 The first piece that I approached in the design process was the invitation, which came together quite naturally. 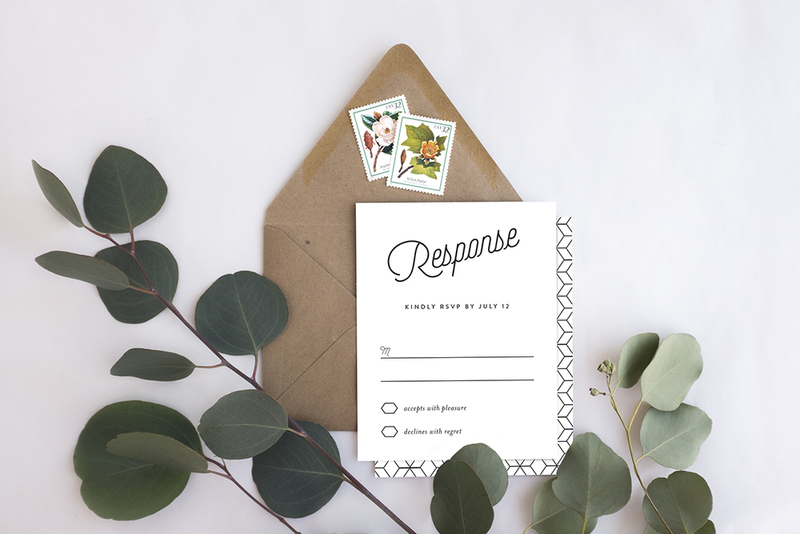 The hexagon shape that was developed for the invitation ended up influencing the rest of the pieces and creating a pattern that is prominent on the save the date and thank you card. I love when a small detail grows and translates to other parts that make up the whole, resulting in a stronger connection among all of the pieces and a more cohesive overall design. This suite can easily be customized to include metallic foil stamping, and all of the black could be changed to one or two colors for a stunning effect. 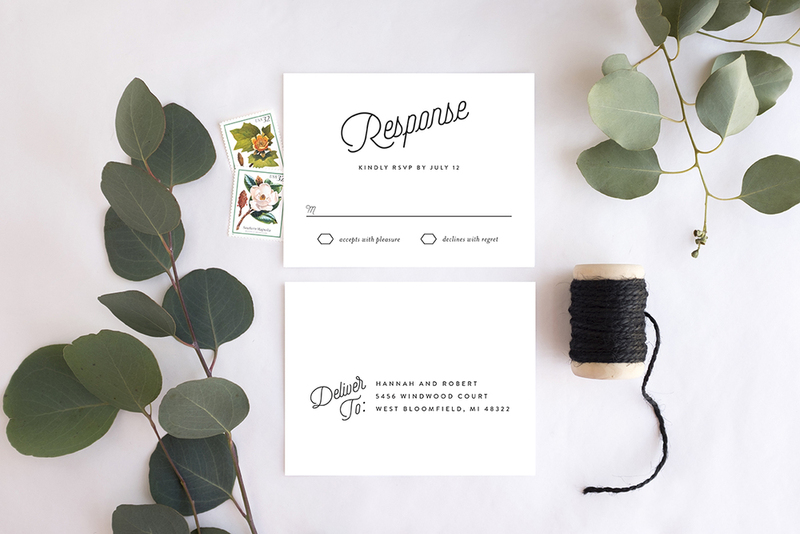 I also like the idea of keeping all of the black and using brightly colored envelopes to add a pop of color against the clean typography. 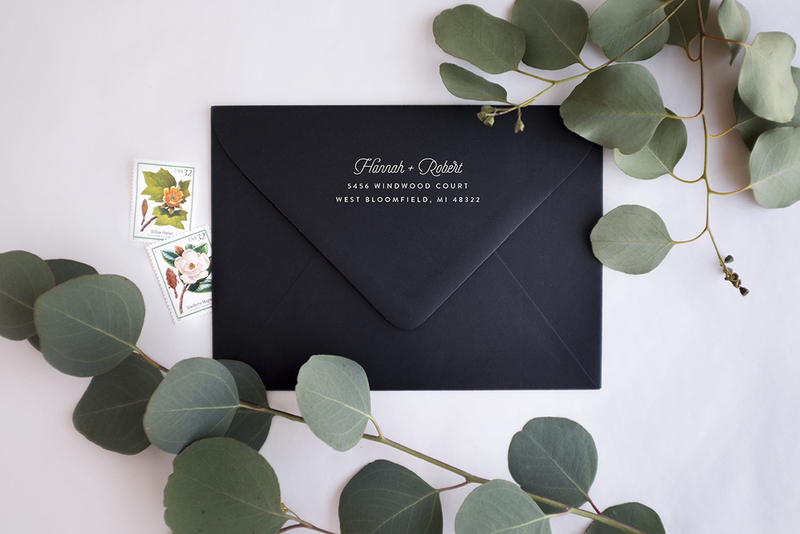 All the invitations in my collection are digitally printed on luxurious cotton paper (with the option to go pearlescent) with a plethora of contour flap envelope colors to choose from. 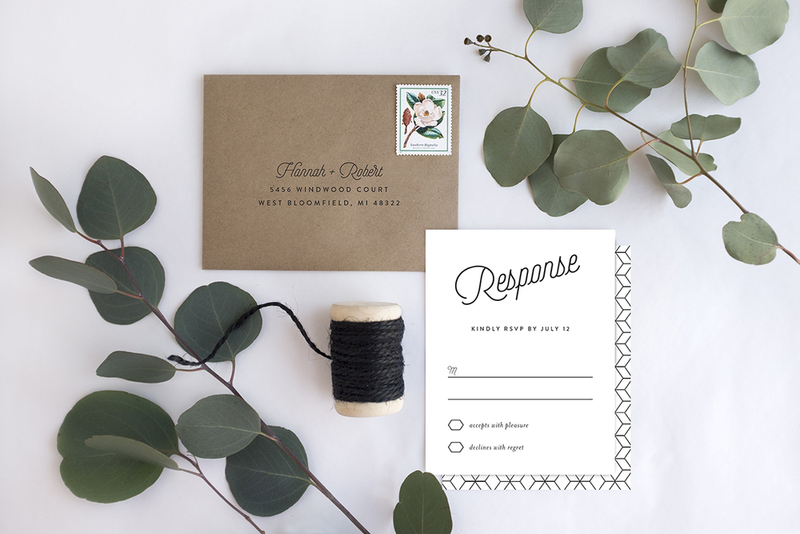 For every suite there is an invitation, RSVP card (with the option to do an RSVP postcard without an envelope), details card, thank you card, save the date (with and without photo), and matching address stamp that can be used as the return address on the main envelope, and as the delivery address on the reply envelope. Foil stamping can be added to any suite. View the pricing guide with list of pieces available here. Purchase a sample of Just My Type at gennacowsert.etsy.com.